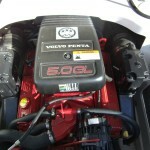 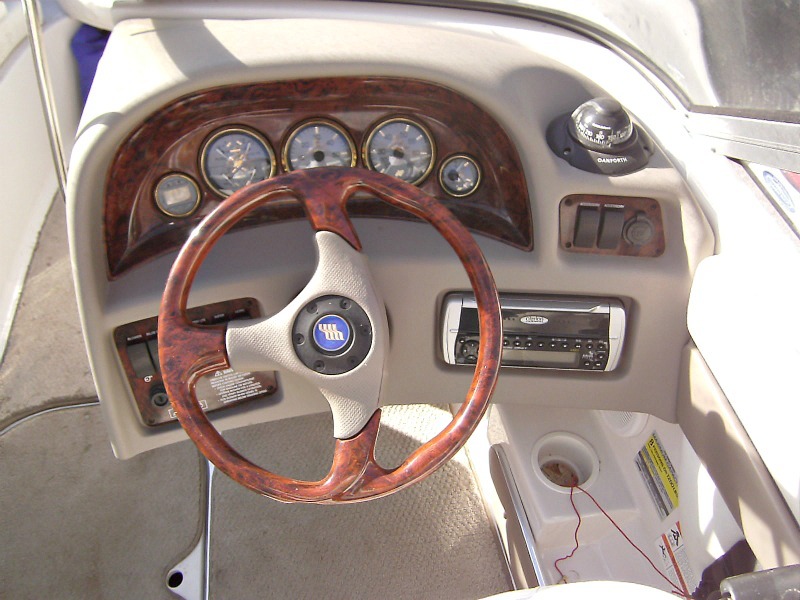 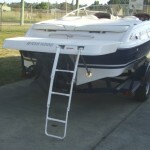 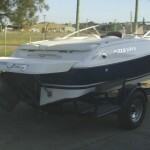 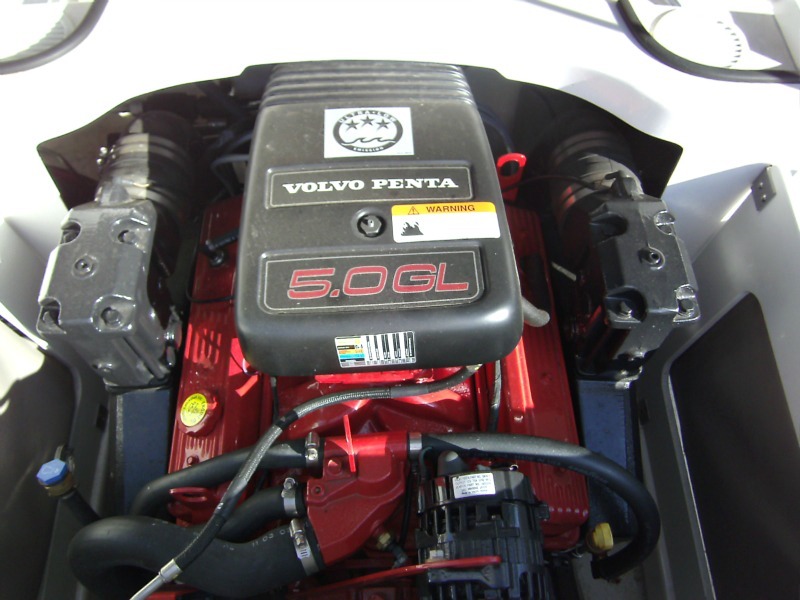 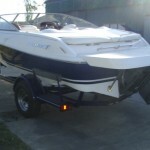 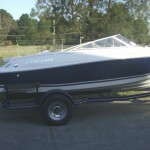 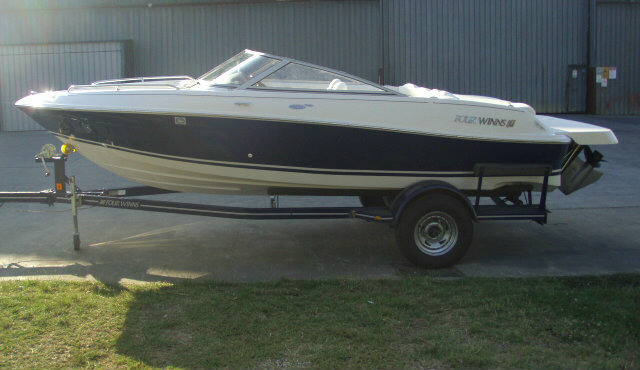 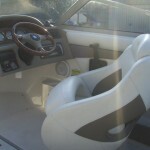 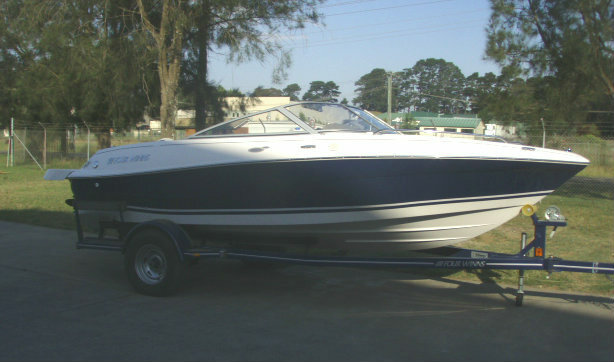 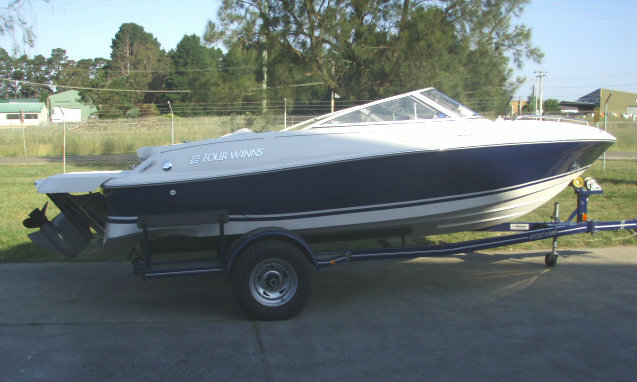 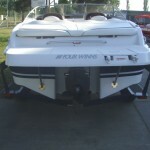 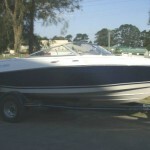 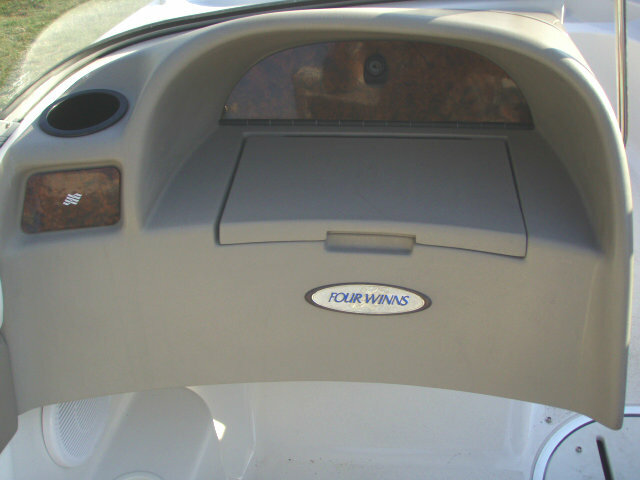 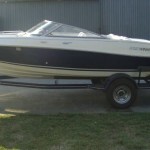 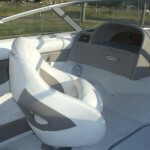 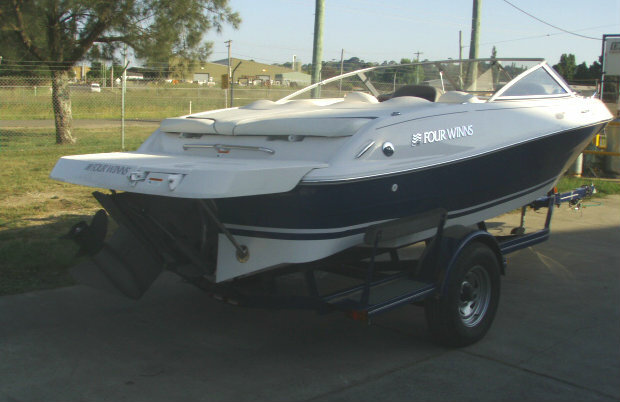 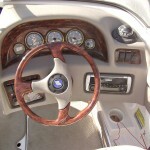 2004 Four Winns Horizon 190 Bowrider powered by a 5.0L V8 220hp Volvo Penta GL engine, with a Volvo SX leg sterndrive and 105 hours of freshwater use. 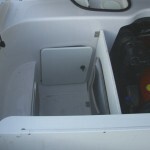 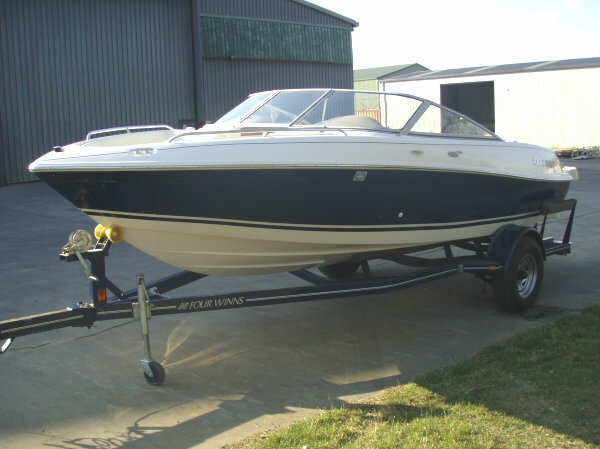 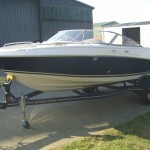 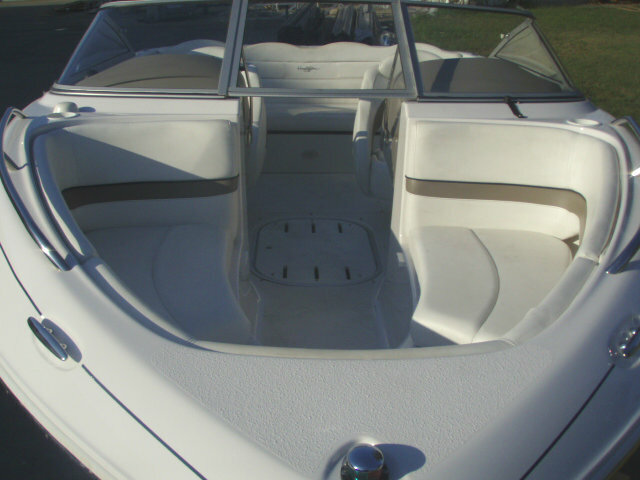 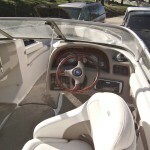 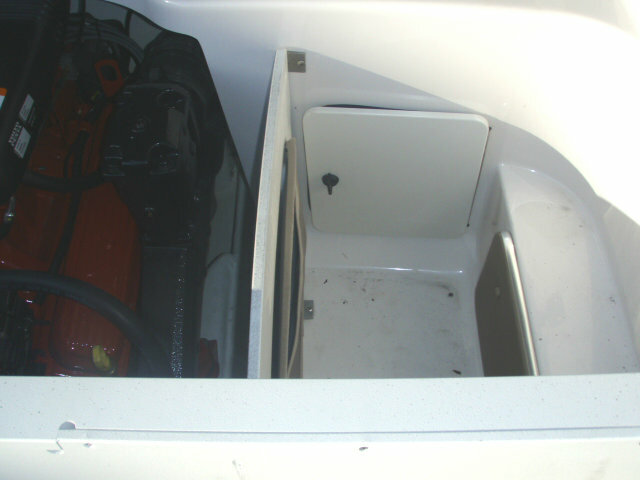 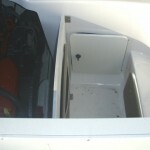 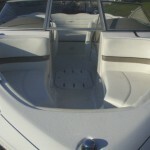 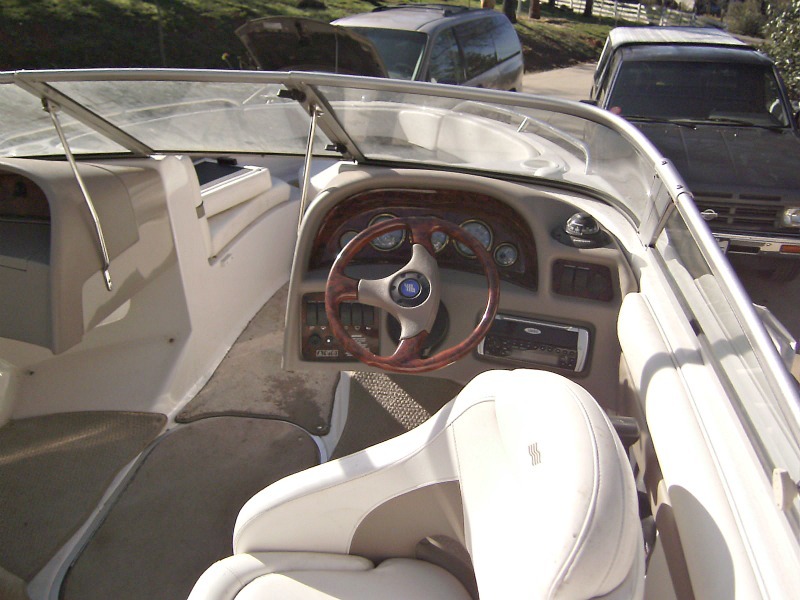 This is another one-owner boat that has been loved, cared for and maintained by it’s previous owner, and as such we can therefore present it to you in excellent condition ready to cruise, tube or ski. 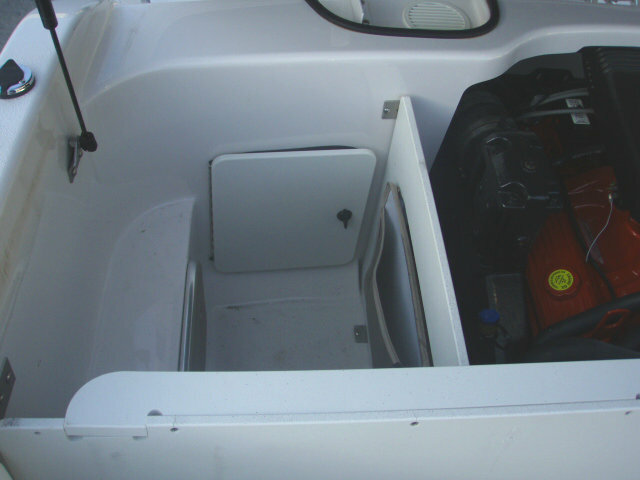 The Horizon 190 gives you ‘big boat’ space in a package that’s easy to handle and a pleasure to trailer, where storage and room are well above the industry average. 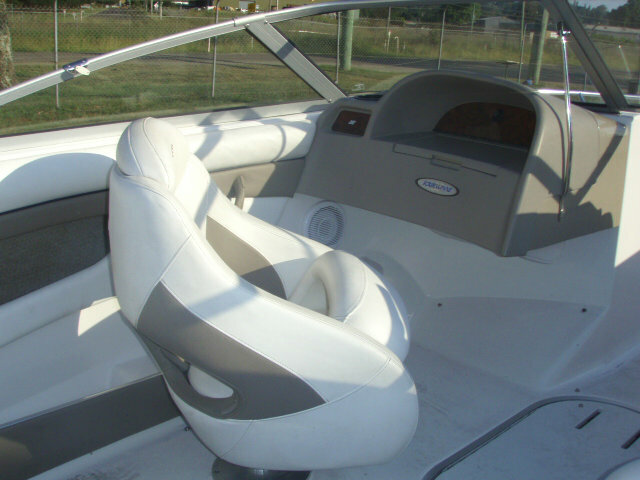 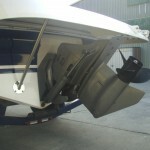 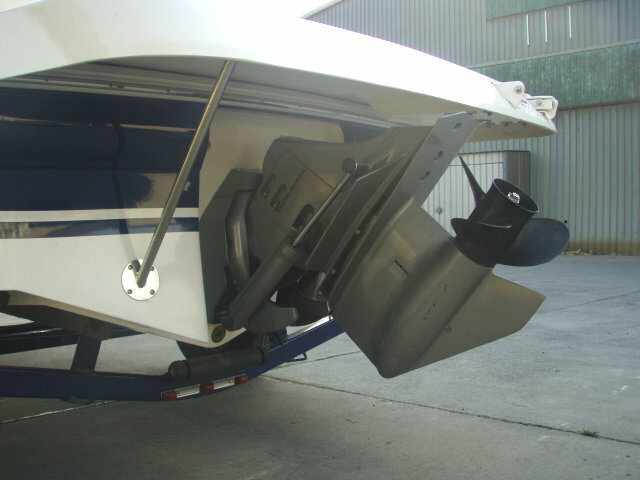 Ride performance is exceptional, it runs nice and level and it exhibits a big trim range that lets you go all the way from bow-down over the chop to flying-free on the aft sections. 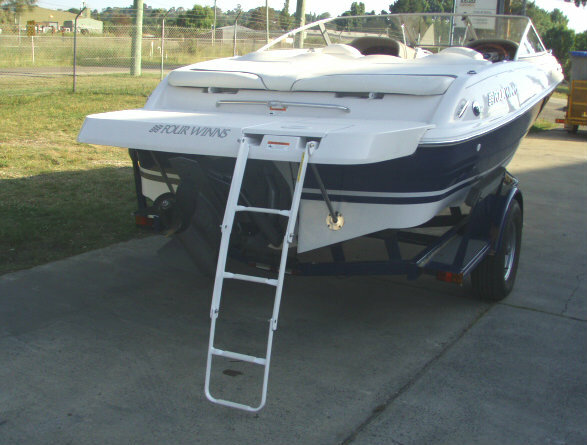 This bowrider is more than a riverboat, it feels right at home on the harbour, or gadding along on channels, or bounding across the bay. 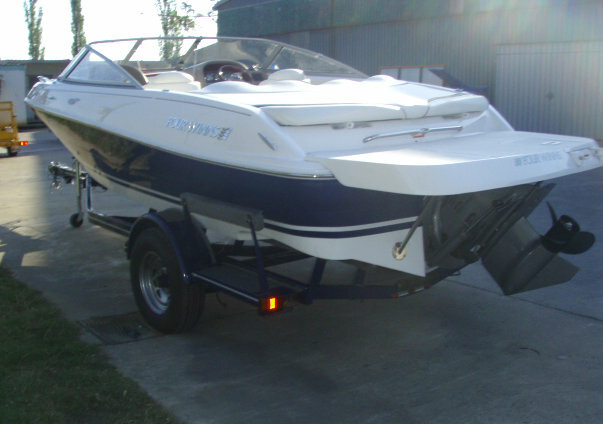 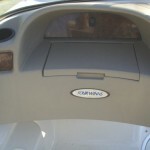 With it’s excellent freeboard in the bow, it means that you can take the family with you on any waterway. 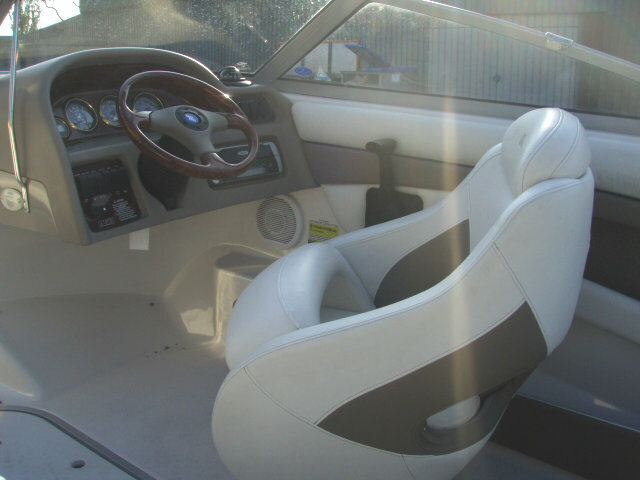 Features of this 19-footer include it’s superb performance, where it’s 220hp V8 will certaintly get you out of the slot effortlessly; efficiency, smoothness and quietness of ride, smart styling and excellent quality of finish. 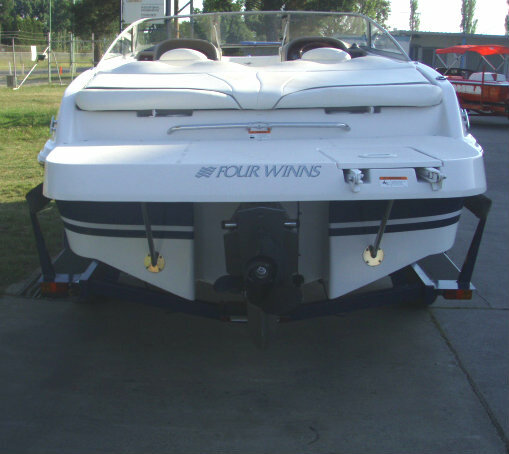 This Four Winns Horizon 190 Bowrider is a terrific example of a turnkey American trailerboat with a top-class finish.